John is an amazing glass artist and designer focusing on Windows, especially on remodel's and reconstruction. Glass House Art is owned and operated by Georgia native John McCleer. John has over 45 years of experience in the design industry, working with both commercial and residential interior designers, architectural firms, and the retail public. 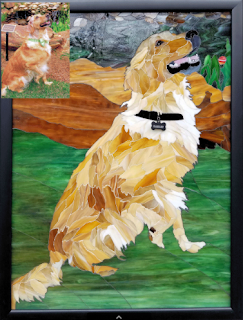 His stained glass artistry reflects his attention to detail, capturing color and scale, while creating a harmonious relationship to the overall setting. 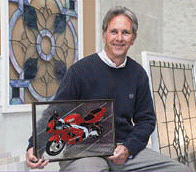 Depending on the size and complexity of the design, John constructs his pieces using lead came, in the Tiffany style, or in mosaic form.